“Black market mining,” the pope said, “has become a danger that is destroying people’s lives; forests and rivers are being destroyed, with all the richness they possess. Pope Francis is well versed in the reality of corruption in the most Catholic continent in the world. As archbishop of Buenos Aires, he witnessed firsthand its destructive effects in his native Argentina; he even wrote a small book on the subject. In an interview with America before the visit, Ernesto Cavassa, S.J., the rector of the Jesuit university in Lima, explained how corruption has become a way of life in Peru and is accepted in some form by about 70 percent of the population. He noted that Peru finds itself listed 101st of 176 countries in the recent ranking on corruption published by Transparency International in 2016. 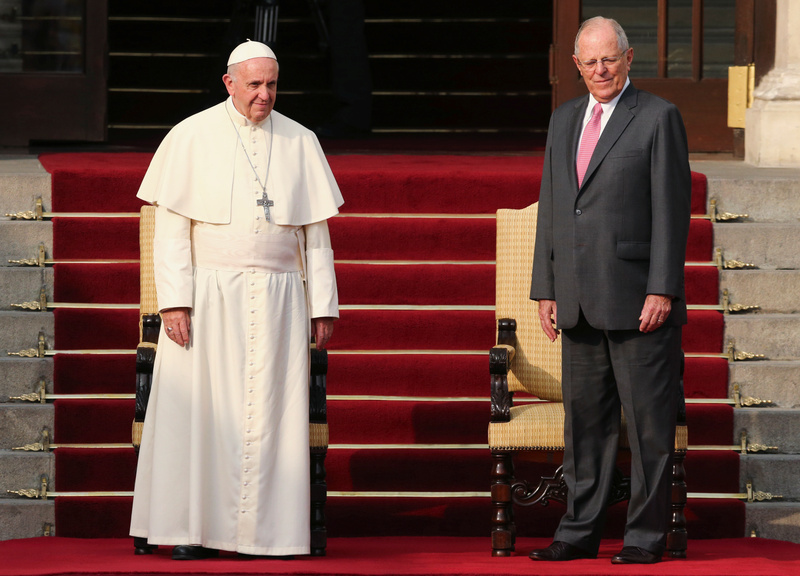 The pope’s decision to address this topic in Lima may have surprised some, considering the man next to him on the podium was President Pablo Pedro Kuczynski. The president narrowly evaded impeachment for corruption on the eve of the pope’s visit after reaching an agreement with part of his political opposition to pardon Alberto Fujimori. The former president was serving time in prison for corruption and human rights violations. The president was accused of accepting bribes from Oderbech, the giant Brazilian construction company. He described the fight against corruption as “a battle that involves all of us.” It “requires a greater culture of transparency among public entities, the private sector and civil society. No one can be excluded from this process,” he said. He assured them that the Catholic Church in Peru would accompany them in this effort.